Almost Famous – From the guys at Home Sweet Home comes Almost Famous. First up for two reasons; 1. They were the first stall I went to and 2. Their chilli dog was so good it’s still making my mouth water right now. Thick, rich chilli (US style not UK style), a splash of good mustard, a well toasted bun and a good quality juicy hot dog combined to bring me back here a second time. As a side note, the burgers were excellent quality and easily on par with the dog, but I couldn’t bring myself to attempt their Double Double burger. Mega. 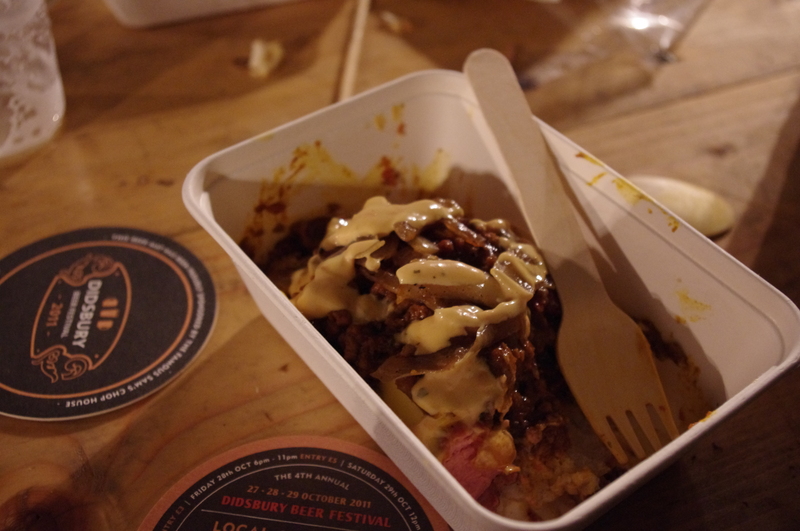 Slow/Fast– Masterchef finalist Tom Whittaker was on fantastic form throughout the festival, and being directly next door to Almost Famous meant it was a short trip to more amazing food. 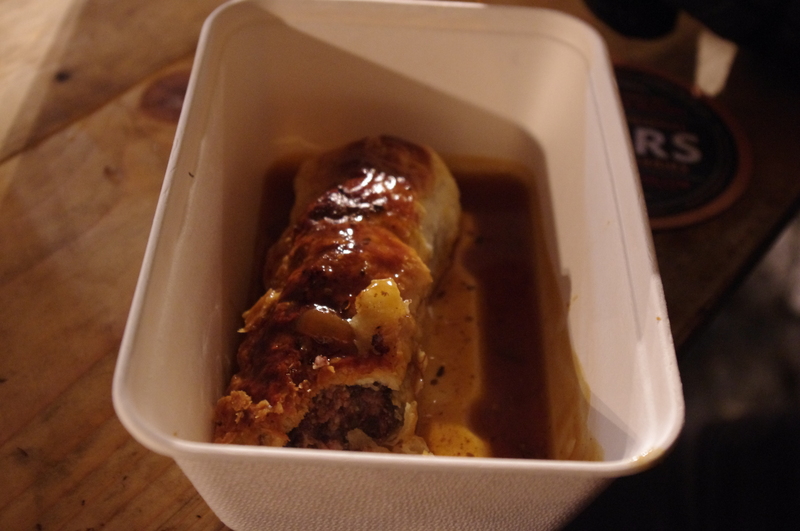 The Black pudding and fennel sausage roll was deliciously salty, surrounded by light crispy pastry. Being asked whether I wanted gravy on it was just the icing on the cake (and also the gravy on the sausage roll). 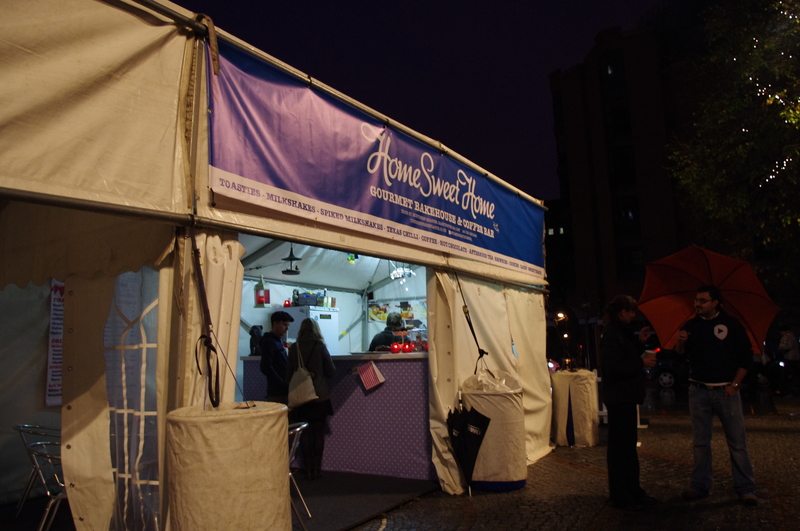 Home Sweet Home– For the sweet toothed segment of the evening, we went across to Home Sweet Home, while I loved the look of the place and had a chat with the guys serving, my friend was less than impressed with them. Not because of the food, but because when I said I’d agreed to come over to ‘hold his hand’, he may have possibly said that my he only looked about seven years old… and I may have gone along with this statement for comic effect. Anyway, putting that aside, the chocolate brownie was dense, moist and the right sugar to chocolate ratiomade it tasty but not sickly. 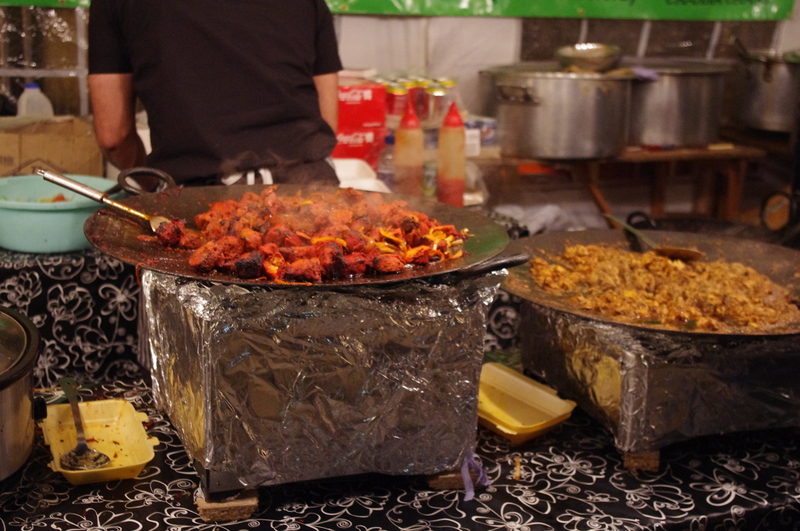 Memsahib Eastern Eatery– Towards the end of our evening, after several ales had gone down nicely me and my friends were sat our under the big gazebo as the rain lashed down watching it all go off at the silent desk, naturally I wanted a Lamb Karahi with a freshly made naan bread. Oh look, Memsahib Eastern Eatery are serving them! Fancy that. The Karahi ticked all the right boxes with a thick sauce, well spiced with a dry heat to it that is not that commonly found in take away curries and the fresh hot naan soaked up the sauce perfectly I didn’t even have to lick the bottom of the box. 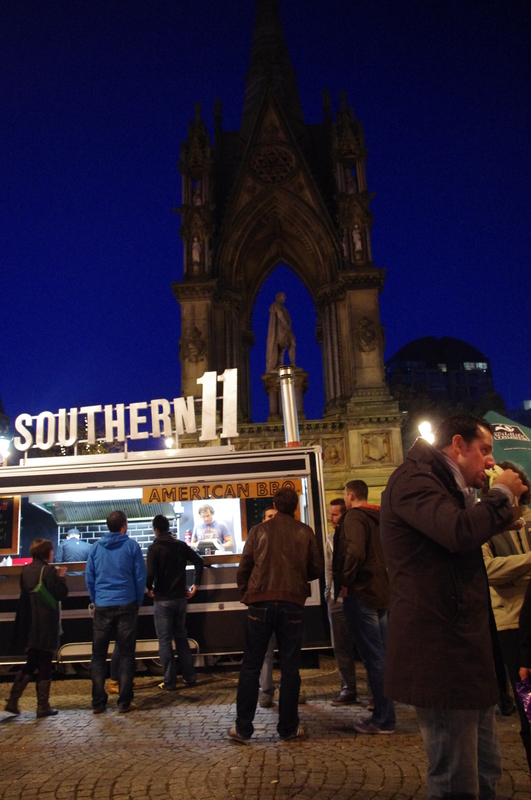 Southern 11 – Since going to their street food stall, I have also eaten at their restaurant and the quality of their street food made the transfer pretty well from the restaurant. 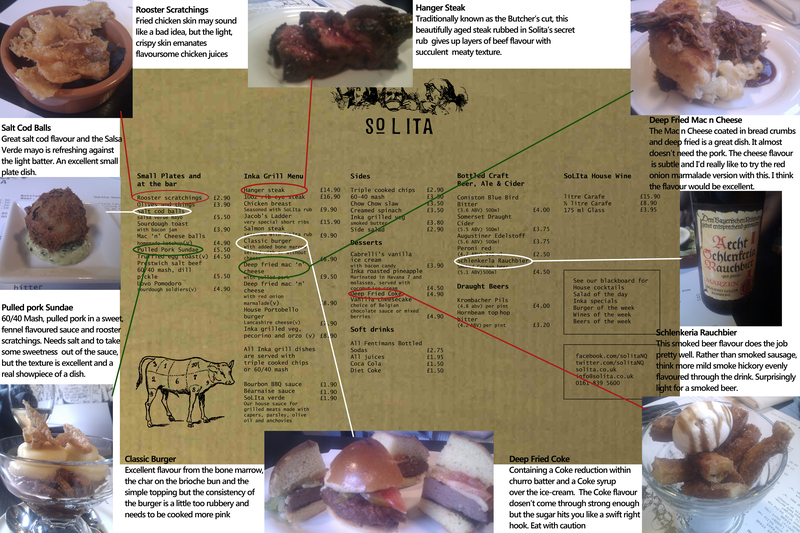 The choice was good between the brisket, pulled pork and burger. We went for the brisket. Having been lucky enough to have eaten in one of the best BBQ shacks in Texas, I’m a hard man to impress when it comes to smoked brisket. This one was not world class, only being smoked for 4 hours but it was a well-cooked piece of meat., Having tried their menu in full, there are plenty of great options, with the pulled pork being some of the best I’ve ever tasted. Manchester Egg– Every great city needs its signature dishes. To quote comedian Stewart Lee, not every town needs a cake named after it, but I would argue that having an egg named after it should be a bloody necessity. 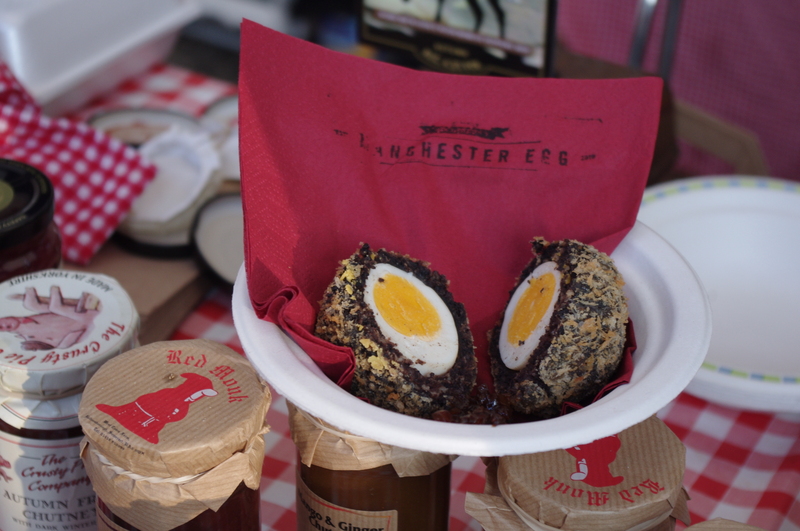 Manchester egg takes a normal pickled egg and coats it in black pudding and sausage with breadcrumbs. What a flavour sensation. The salt and vinegary taste of the pickled egg alone made my taste buds sing, though possibly also my arteries harden a little. Add in a little chutney and you’re onto the perfect bar snack. Trying to take one of these in hand, the crumbliness of the coating meant I was taking massive bites, to stop bits of it falling away. You almost couldn’t imagine a snack like this coming from anywhere else other than Manchester. Woodburns Espresso Pizza Bar – Towards the end of another Saturday evening at the festival hub, we wanted one last tasty treat to keep us going for the tram ride home, queue Woodburns. Operating out of a classic Citroën van serving espresso and Italian style pizzas as first seen in London espresso bars in the 1950’s. The pizza was made in front of you and offered up with a selection of toppings. The wood burning cookers give the thin base that great crisp flavour. This was all we needed to end the day and the festival right. 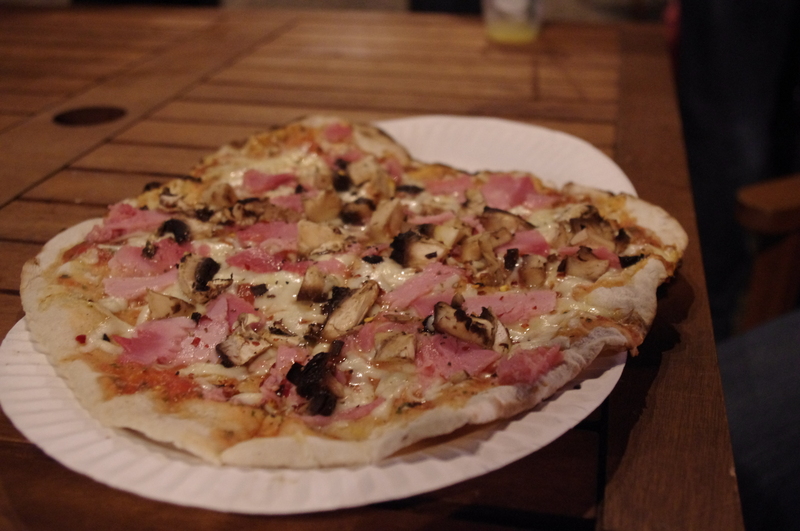 Fresh ham and mushroom pizza, the buzz of the festival and fading light left us leaving the hub with plenty to talk about and burn off on the walk back.